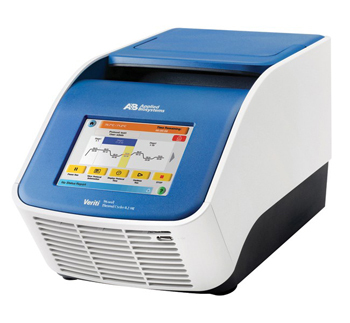 The Applied Biosystems Veriti Thermal Cycler delivers the proven reliability you expect from Applied Biosystems PCR instruments. The VeriFlex temperature control technology inside makes it possible to run up to 6 different temperatures in the same protocol step, providing precise control over your PCR optimization. The Veriti Thermal Cycler now has a 3x faster processor, making the easy-to-use color touch screen, more responsive and the time to boot-up, quicker.